John “Jake” Pelkington began playing professional basketball in 1934 at the age of 18. In the beginning, his allure was more in his 6’6″, 220 pounds size than his playing skills. The New York City kid moved well for big a man and gradually over the next three years he matured into a first-rate player . By 1937-38, Pelkington was good enough to push aside seven-year starting center Matty Begovich in the New York Jewels’ lineup. The Jewels finished forth in the American Basketball League regular season, but went undefeated in the playoffs to capture the 1938-39 ABL title. In 1941, Pelkington was signed by the Akron Goodyear team in National Basketball League. When the Goodyear team left the NBL the following season, Pelkington joined the still-touring Original Celtics for a one-year stint. 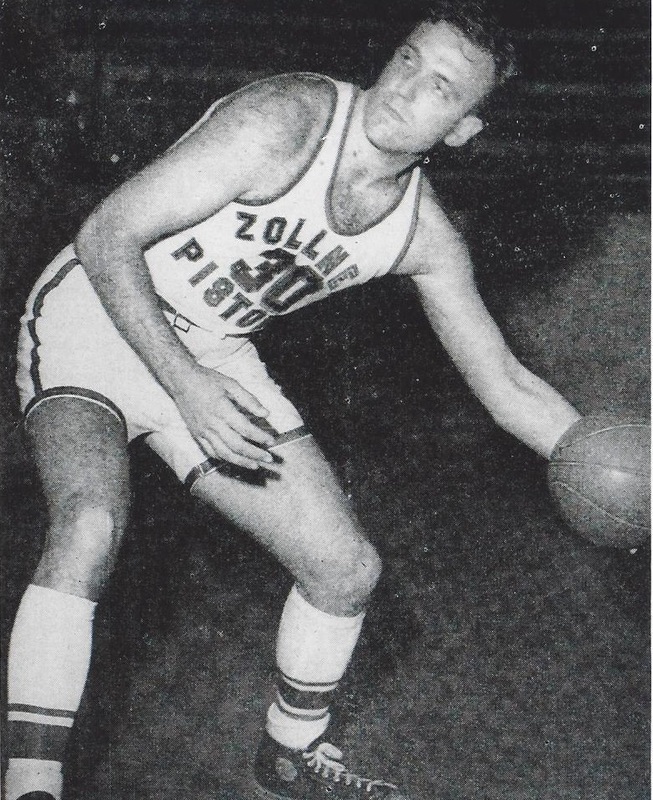 Pelkington signed with the Fort Wayne Pistons in 1942. He joined a team that would dominate the pro game over the next four seasons. Pelkington was not called on to be a scorer, but was a valuable member of the Pistons as a top rebounder and defender. During Pelkington’s six full seasons with Fort Wayne, the Pistons won three world tournament titles and three NBL championships. Fourteen games into the 1948-49 season, Pelkington was traded to Baltimore in the NBA at the request of his old Pistons’ teammate Buddy Jeannette. At the end of the season, he retired.